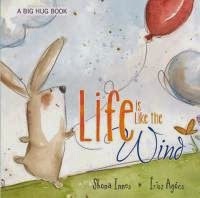 Today, I'd like to welcome picture book author Shona Innes to my blog. 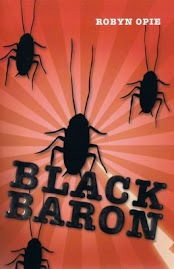 Shona is here, with a guest post, as part of her Big Hug Books Blog Tour. I love this idea! I'm thinking of writing a letter to myself. Thank you, Shona. I’m a clinical and forensic psychologist working in a busy private practice in regional Victoria. The Big Hug series evolved from letters that I write to my younger clients after each session. The letters help them to remember what we talked about and the things they should be thinking about, noticing or practicing. The letters also let their parents, carers or teachers know what they are working on as well. I guess it’s okay to say the letters are supposed to help everyone to (pun alert!) ...“be on the same page”. Here’s my letter to me. This is a note to you from me to remind you of the things we have been working on. It has been an amazing time for you with the Big Hug books set to launch. Who would have thought that your work with children would become so exposed? It’s no wonder that you’re a little anxious about the whole process. What started out as intimate letters to some of your little clients have now evolved into beautiful picture books – a much bigger audience than you intended. How lovely that your words can help reach so many more children, school and families! 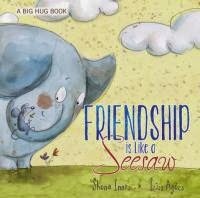 The illustrations in “Life is Like the Wind” and “Friendship is Like a Seesaw” are truly beautiful. Yes, and they are much better than your attempts at drawing. It’s fun to look back and laugh at the children’s reactions to your pictures in sessions. It’s probably good that you show them that some people are good at some things, but not so good at others. I know that the publishing world is not your usual pond, Shona-fish.The terminology is a little different, the peaks and troughs of busy-ness are a bit rough to plan around, and you don’t have many solid connections to anchor you. I also know that you can find people to help you to swim in this big new pond, too. Just give yourself time, ask for the help that you need and it will soon feel like you have always swum out this deep. I’m glad that you are feeling proud and excited. Pride is the feeling where you want to say, “Hey, look at me and look what I managed to do – yey”. I know you are sometimes scared to have this feeling because you worry someone will tell you that you are boasting or “getting too big for your boots”. Excitement is the feeling where you are thinking about what is happening and getting prepared for it in a good way. It’s very similar to anxiety, except it’s about expecting good things rather than expecting bad things. Remember, you don’t need to travel in time with your mind to avoid new feelings. Time travel is best left to Dr Who. Be sure you embrace and breathe in these new feelings and this moment, right now. I know that you are very grateful for all of the special people that you have in your life. These people are the ones who know you and love you, even if you don’t get your bed made, cook a nutritious meal from scratch or phone them every week. Take care of yourself – eat well, exercise, sleep and laugh.....and don’t work too hard.